Eat slowly and take small bites. Do not drink too much alcohol before or during meals. Do not talk, laugh or do physical activity with food in your mouth. Purchase toys with safety in mind. Follow the age recommendations on toy packaging. Feed babies and young children appropriate soft foods in small pieces. Do not let young children move around with food in their hands or mouth. Constantly watch children when they are eating. Keep holiday decorations, such as tinsel, tacks, and ornaments as well as any small objects out of reach. Get trained. 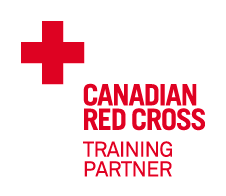 Take first aid training from an agency such as Red Cross, so that you know what to do in the event of an emergency situation. Wear the gear. Avoid frostbite and hypothermia by dressing in layers and keeping your head, ears and hands covered. Be smart! Always wear your helmet when participating in winter activities such as snowmobiling, skiing and skating. Alcohol and winter activities don’t mix. Stay sober while participating in any winter activities. Test the thickness of ice before venturing out on it. 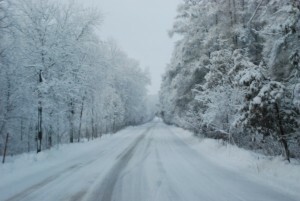 Ice must be at least 10 cm or 4 inches for walking or skating alone, 20 cm or 8 inches for skating parties and/or games and 25 cm or 10 inches before it is safe for snowmobiles. Avoid hazards. Survey the area and identify the potential danger spots. Supervise children. 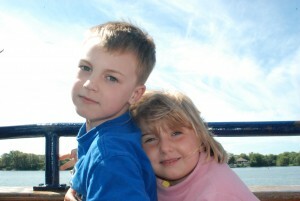 Adult supervision is the best protection for children. Get trained. Take first aid training from Red Cross or another reputable agency, so that you know what to do in an emergency situation. 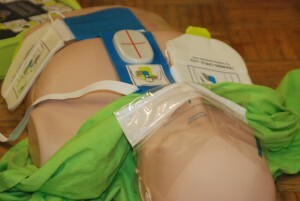 Your first aid and CPR certification is good for 3 years from the date of issue. That means it expires on the date on the card – not at the end of the month or within a certain number of days of that date. It is important to ensure you are aware of your expiry date in order to register in a class that works for you. Employers are able to mandate that your first aid and/or CPR is re-certified within an earlier time frame (i.e. yearly). Once you have completed a course, upon expiry, you are able to complete a re-certification. When the re-certification expires, you are required to enroll in a complete course, not a re-certification. Payment terms include a deposit upon registration, with the balance due the day of the course. There is a 50% fee if the course is cancelled within 72 hours, unless rescheduling is possible. Questions? 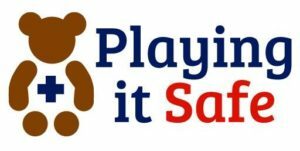 Please drop us a line at hello@playingitsafe.ca. Feel free to call and leave a message at 519 588 4271, and we’ll return your call as soon as possible! Comprehensive two-day course offering first aid and cardiopulmonary resuscitation (CPR) skills for those who need training due to work requirements or who want more knowledge to respond to emergencies at home. Exceeds competitors’ standards by including injury prevention content, CPR and AED. Are you looking for training for your place of employment? Look no further. We come to you to provide the training that fits your needs. Our minimum number of participants is 4, maximum of 12 for First Aid courses, 30 for Babysitters' and PeopleSavers'. This course is designed to provide the young sitter (participants MUST be 11 years of age at the beginning of the course, to age 15) with an idea of how to work with babies, toddlers, preschoolers and school age children (ages 0 to 8 years). Each participant receives a manual with resources, a mini first aid kit, and lots of hands on, practical training for the “what ifs” that may happen when watching younger children.